It’s Friday night, the long wait is almost over, and an expectant crowd is building up. The story of the Pankhurst family and the suffragette movement is about to be documented and translated in one of the most unusual, but strangely accessible ways. 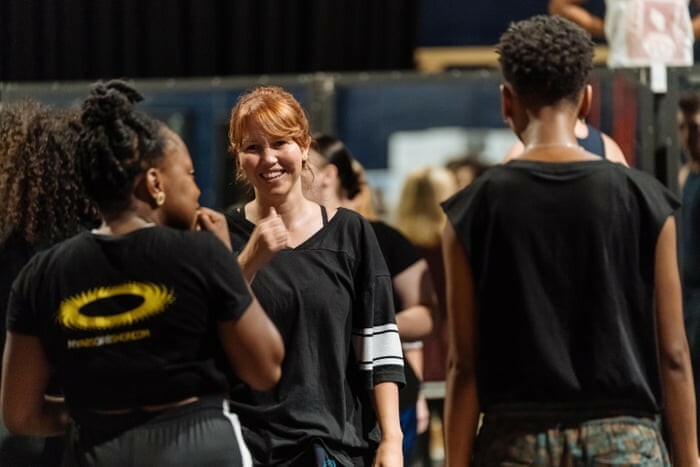 A multi-racial cast will tell the story of the fight for women’s rights from the early 1900s onwards in the United Kingdom (which as it turns out is divided along gender lines). ZooNation, now with ‘the Kate Prince company’ moniker (appropriate given the subject matter), has been building up to this moment for quite some time. 16 years ago in the Edinburgh Festival fringe an audacious hip hop dance troupe of young talent brought a show which was fresh and different. That show was ‘Into the hoods’. Wind forward to 2018 and the company has years of several critically acclaimed shows under its belt, has performed on the biggest stages for world leaders, has its own dance academies, youth productions and also produces and publishes its own original music. Zoonation is a brand, and it’s its own thing. 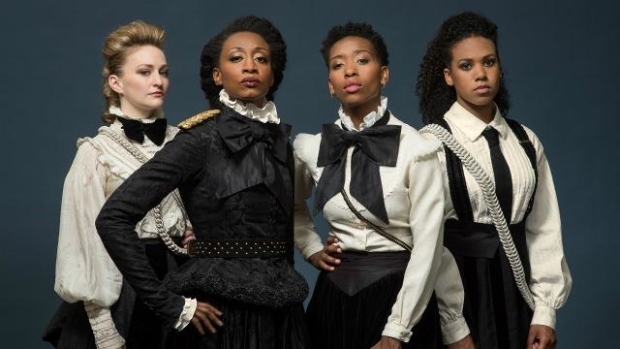 Prince and her latest troupe of many talents are making a statement or two here, and this time bring in an established performer and household name – in soul Queen Beverley Knight – who adds yet another string to her considerable bow as matriarch Emmeline Pankhurst. To say that this is a show that chimes with where we’re at politically is an understatement in the #MeToo era. However it also asks the audience to take it on its own terms, turning convention on its head, given that the cast is diverse but the figures it portrays are not. 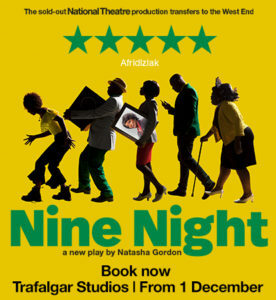 But haven’t we had years of white actors playing Othello, Ghandi and other titanic literary and historical figures? At curtain up you realise that curious imbalance briefly, but discard it quickly as you’re swept along by the human story. Tonight, this feels like the hot ticket in town, even before a review has been written. We’re handed a piece of paper before taking our seats, which serves as something of a disclaimer, to tell us that this is still a work in progress – but it’s hardly necessary. For those who got the message loud and clear – and the performance I saw received a standing ovation – were being swept up in the story and the message, but also in the exuberance of the telling. The show starts with a five-piece live band silhouetted behind dry ice, three male musicians are flanked by two female musicians on the left and right-hand sides. They seem the most visible members of the band – which feels deliberate. Musically it’s a great show, with bursts of ensemble acapella singing, and acoustic duets between sisters Christabel and Sylvia, the latter played with conviction by Maria Omakinwa. The bass rumbles throughout, with some heavy funk during ‘Catch me if you can’, a song about female activists evading the attention of the authorities and going to ground. There are also anthems, all based on powerful slogans of the time, detailing the struggle of the women’s social and political union. “One day, come together, we can rise up”, “Time’s up” and “March, women march!” were phrases which stick in the mind, the latter a song featuring a powerhouse performance from Knight. The unconventional marriage of hip-hop soul meets early twentieth century women’s suffrage is met with such total conviction, it feels less like a musical and more like a movement. For ZooNation as a company – the focus felt less about dance, and more about music as social commentary. ZooNation has always had humour in its work, and tonight is no exception, with some superb cameos from Tachia Newell as Lloyd George (and the narrator), but also from Jade Hackett as Lady Jennie Churchill, who is a real scene-stealer on more than one occasion. Due to the work in progress nature of the performance, it was lengthy, and if it had a weakness it got caught between entertainment, and an earnest attempt to be a detailed history lesson. You can’t please all of the people all of the time, and I wondered whether some of the audience felt the insight into Winston Churchill’s early years was palatable, even if his patent dislike of the suffrage movement seems well documented. There was some fun interplay – in a west end musical sense – on the political debates of the day, especially on the power shift between Liberal, Conservative and Labour parties, but also the gender struggles in the various powerful families of the time. Labour leader Keir Hardie, played well by John Dagleish, is an older man, and serious love interest for Sylvia Pankhurst who struggles with her conscience and loyalties throughout. You also felt parallels with the Civil Rights movement and the Black Panther party in America’s 1960s – a powerful second half opening saw the suffragettes talking free nurseries and keeping kids off the streets. It also didn’t pull its punches when it needed to, briefly depicting women being force-fed and beaten, in two of its most powerful sequences. Another key plotline is family and political tensions (Brexit anyone? ), between sisters, mothers and daughters, and between the radical and more peaceful strands of protest. Sylvia very much represents the latter, eventually going on to form the East London federation of suffragettes, and making sure that ‘the common woman will not be forgotten’. Kate Prince seemed to move into new territory here, with the programme notes revealing that this passion project was well researched, not least because she’s written a book on Sylvia Pankhurst. This is an age where a million voices, and images, seem to cry out instantly for attention, but all seem to be ‘talkin’ loud and saying nothing’ – to quote a James Brown adage. Sylvia is doing just the opposite, it’s talkin’ loud but saying something, and maybe even leaving its own legacy behind. Sylvia’s limited run continues until 22 September at THE OLD VIC, visit here for details.